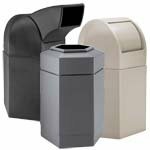 Hotel and resort trash bins and recycling containers often need a more sophisticated appearance to go along with the decor -- as well as the sturdiness required to stand up to constant and heavy usage from guests! 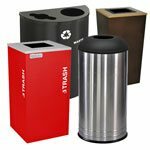 Our hotel trash cans and recycling stations are up to the challenge, with a wide range of beautiful finishes on the outside and solid construction inside. 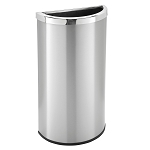 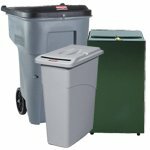 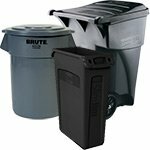 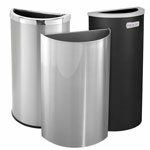 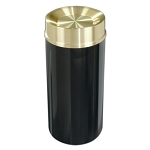 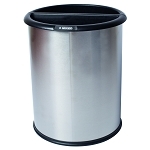 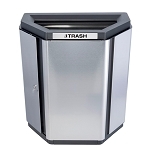 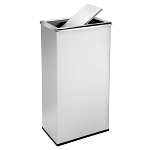 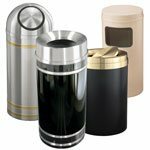 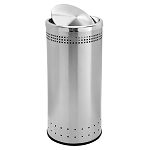 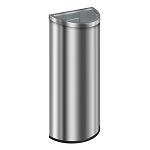 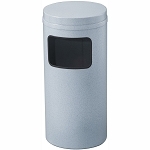 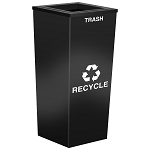 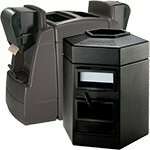 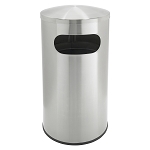 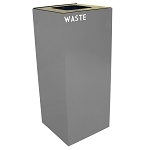 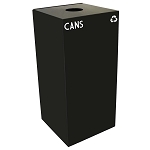 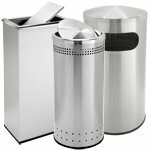 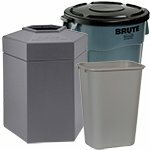 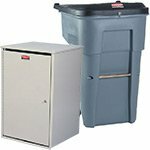 We offer elegant hotel trash bins such as the Monte Carlo series, which have a sleek black and silver color scheme with your choice of lid types (tip action, open dome-top, self-closing dome-top, or funnel top) and different sizes to fit your needs. 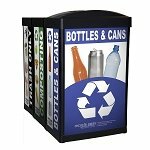 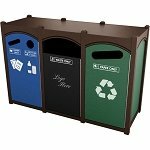 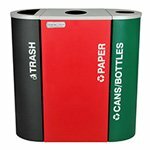 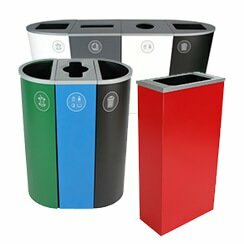 For areas such as vending machine areas, we offer heavy-duty receptacles such as the Metro Triple Stream Waste and Recycling Receptacles in Custom Colors. 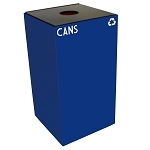 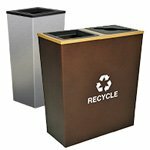 With fire-safe steel construction and your choice of body colors and lid colors, these hotel recycling bins can stand up to whatever your guests dish out. 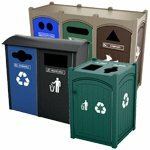 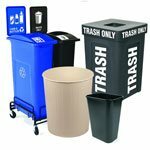 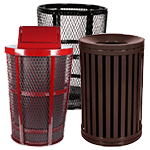 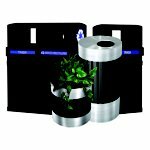 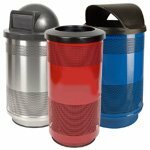 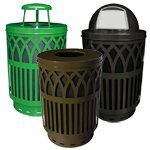 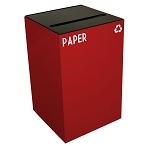 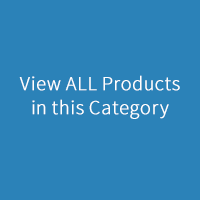 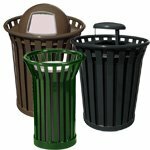 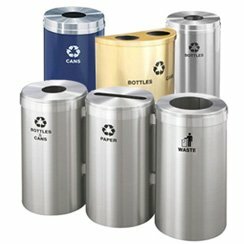 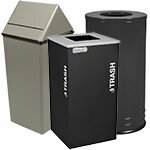 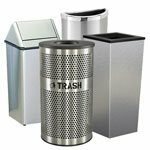 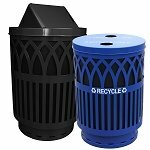 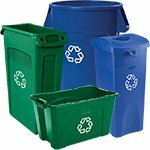 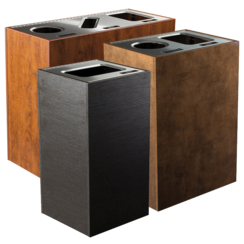 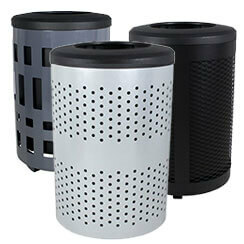 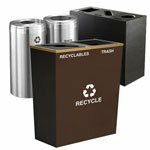 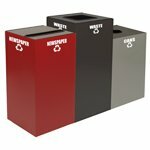 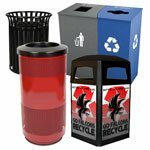 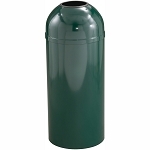 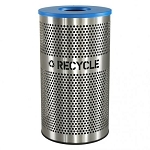 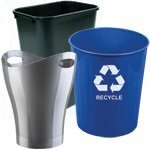 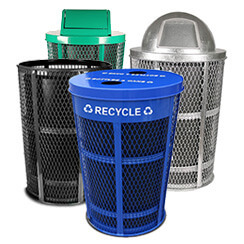 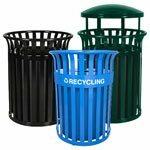 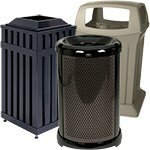 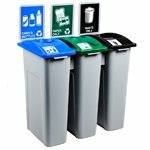 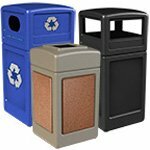 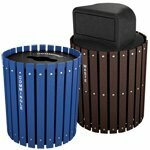 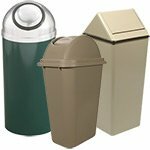 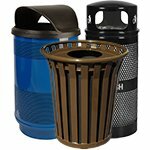 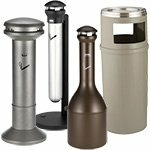 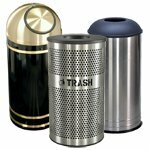 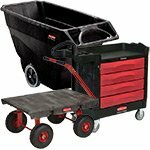 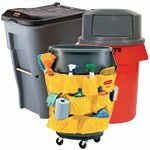 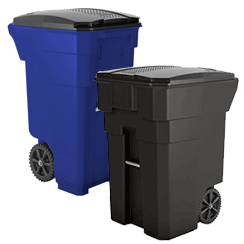 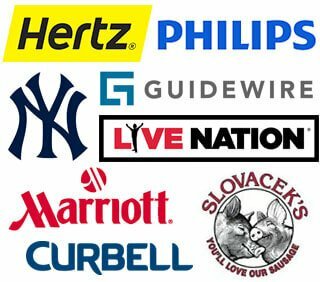 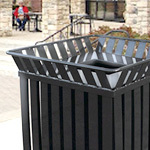 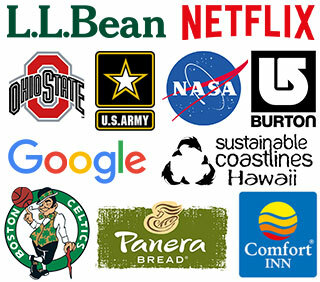 Our selection of hotel and resort trash cans includes dozens of styles in different sizes, finishes and colors, so find the right containers for your facility’s needs and purchase today!